Day 1 : Our guests are welcome to board around 15:30. We will give all the information about the tour, then you'll have the free time. 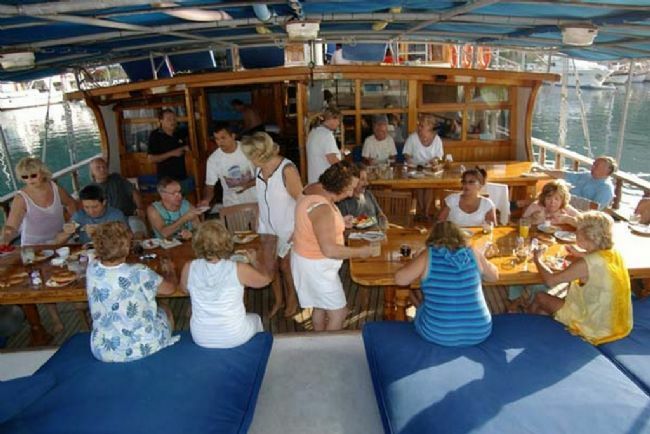 Dinner and overnight stop will be in Marmaris Harbour which is an important tourism center of Turkey. Day 2 : After breakfast we will go to Ekincik Gulf. 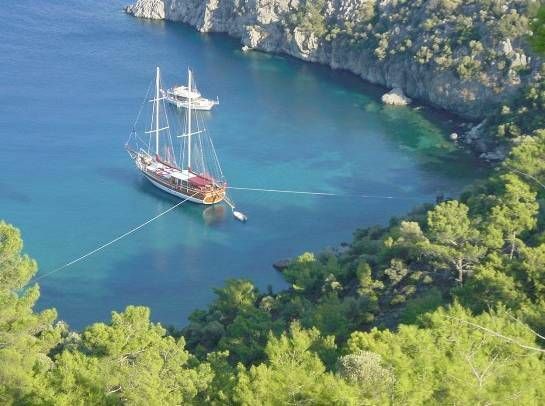 If you want you can joina a optionally Dalyan tour and you can visit İztuzu beach which hosts the turtle's Caretta Caretta, and visit the king rock tombs too. 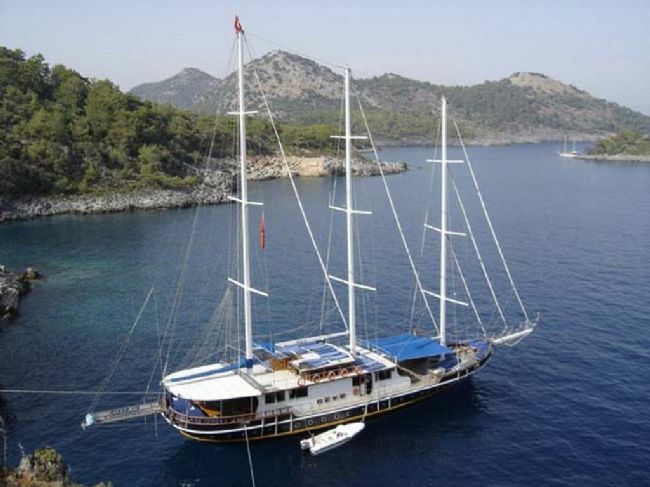 Day 3 : We will start to cruise earlier than other days, because we have to pass the wavy seas of Dişibilmez and Kurtoğlu capes so we can reach the world-famous Gocek Gulf. 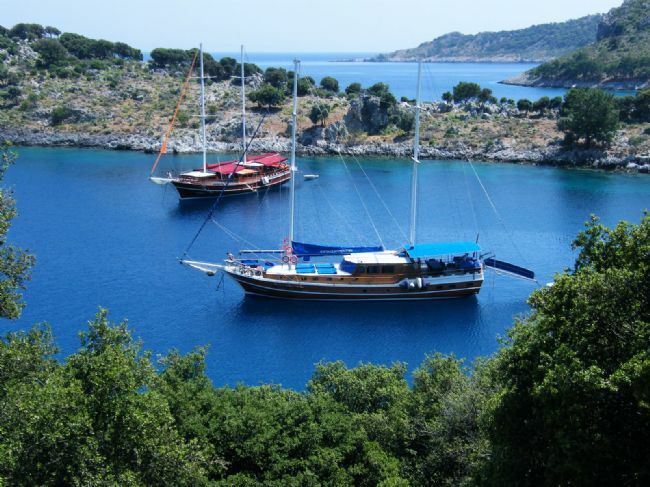 We will stop on the Tersane island in the Göcek Gulf for breakfast and swimming break. Lunch and swimming break will be at Cleopatra island, there is the baths, and ruins under the water. Dinner and overnight stop will be at Kızıl island. Day 4 : We are going to Fethiye Harbour. 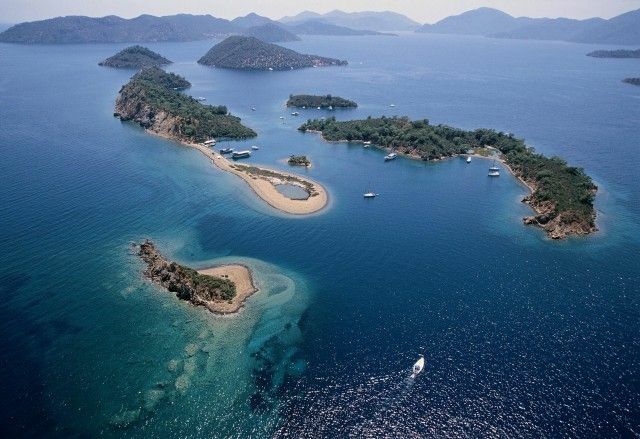 Fethiye was one of the most important cities of the Lycian civilization and named Telmessos, during the ancient times. You can join optionally tours the Jeep safari tour is available. 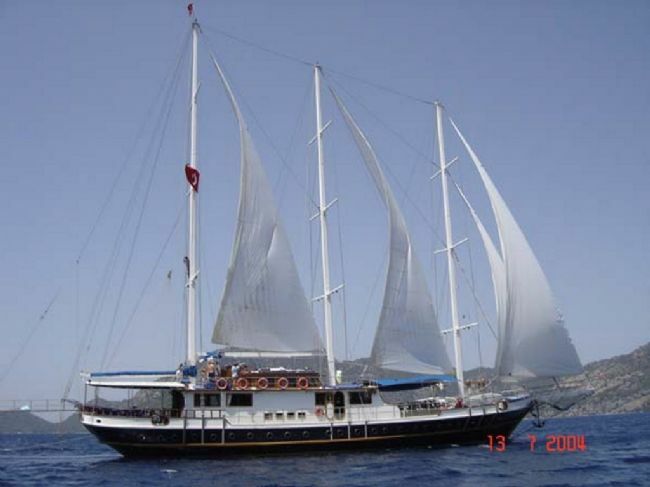 People who wish to stay on board can go to Samanlık bay. When the other guests return from the Jeep Safari, we will have our lunch and your last swimming break. Then leave the boat at 16:00, and say goodbye. •No child discount available in any itinerary. As NO children under the age of 12 is permitted. Captain, has the authority to make changes in the tour program, if due to unforeseen weather and sea conditions changing.